When it comes to tourism, it seems that one country's pain is another country's gain. With Britons beginning to get worried about the violence in Egypt, holiday bookings are down. Those needing a fix of North African sun are turning to Tunisia instead, obviously ready to overlook that nation's own recent spot of bother. What is surprising is how long it has taken UK holidaymakers to register the unrest in Egypt. While police were shooting rioters in Cairo, the resorts at Sharm el-Sheikh and the pyramid tours were still fully subscribed. This summer though, bookings for the coming months are down twenty percent compared with the same period last year. The Foreign Office issued warnings against travelling to most parts of Egypt due to the unrest. For many holidaymakers though, the news only hit home when it began to affect their own holiday experience. Visitors to Sharm el-Sheikh were forced to move accommodation because of the dangers of the Egyptian authorities closing off the roads. Tunisia is far from completely stable either, although the tourist areas tend to be tranquil. Visitors were urged to take care after the July assassination of an opposition leader. Nevertheless, a record-breaking 288,000 British tourists visited the country between January and August this year, 22.5 per cent higher than a previous record number in 2010. Despite the political concerns, it seems that Britons are flocking to the excellent value packages offered by the Tunisian coastal resorts. Outside of the beaches, Tunisia lacks pyramids, but it does have some significant attractions of its own, notably the desert locations where the Star Wars movies were filmed. Meanwhile for Egypt, where the livelihoods of a significant percentage of the population are reliant on tourism, it is apparent that the unrest could have a calamitous effect on local economies. 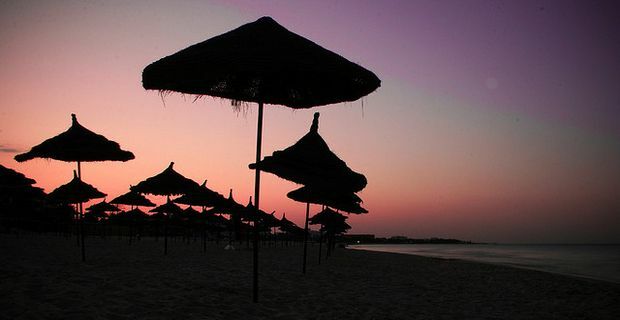 Looking for cheap package holidays to Tunisia?